Iwate is a HUGE place. Iwate alone is as big as the island of Shikoku in southern Japan (which has FOUR prefectures). 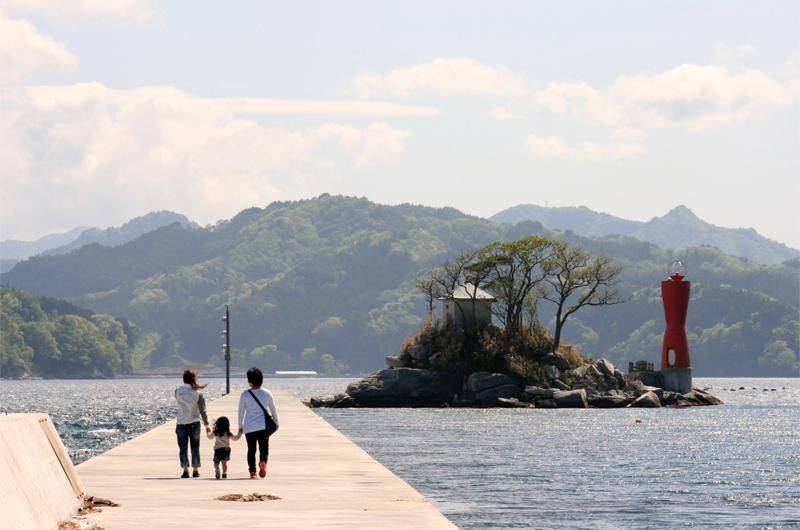 Traveling the inland areas without a car is easy enough - the shinkansen runs right up the middle – but getting from the inland to the coast can be a bit tricky. Renting a car will solve that issue, but that requires an international permit or Japanese license. However, if you have a flexible schedule, it is possible to get mostly everywhere in Iwate with public transportation (and then taking a taxi to your final destination). Here's some tips to get from the inland to the coast. 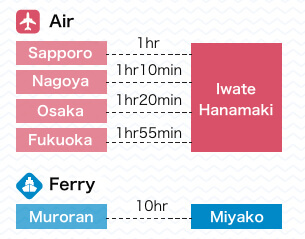 From Tokyo Station, you can reach any of these stations in around 2 to 2.5 hours. Then you can transfer to another train headed towards the coast. JR Train times can be searched with Hyperdia.com. Sanriku Railway train times can be looked up on their homepage. 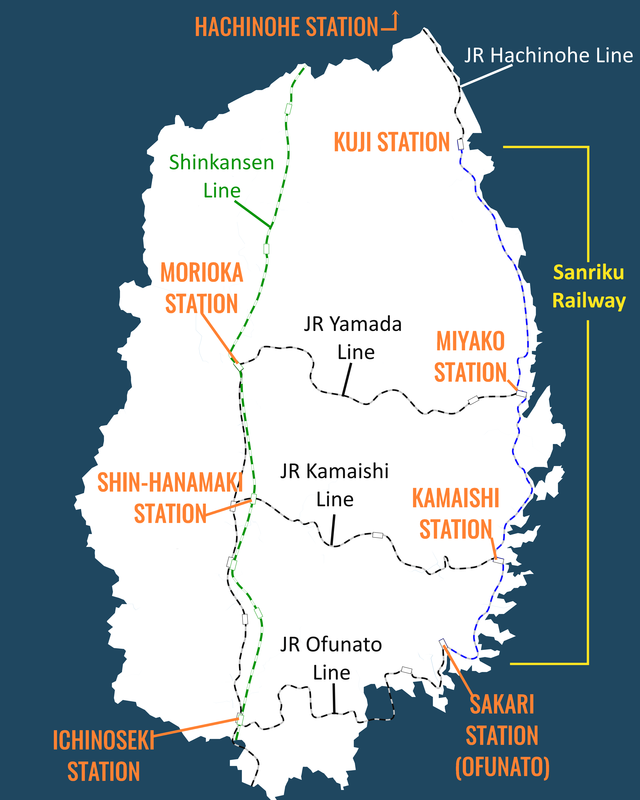 *Unfortunately, the Sanriku Railway is not part of the JR lines, and therefore you cannot use a JR Pass. You’ll need to purchase tickets for each ride. 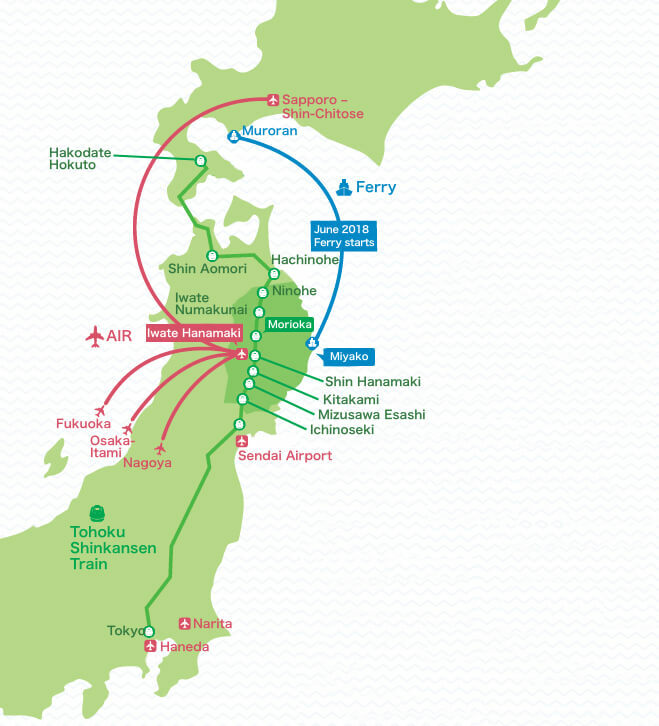 The good news is that once you’ve reached the coast, you’re easily connected by the JR Hachinohe line (Kuji northward), the Sanriku Railway (Kuji to Sakari/Ofunato), and the BRT bus replacement service (Sakari/Ofunato southward). JR Hachinohe line and BRT times can be searched with Hyperdia.com. Official information on visiting Iwate. You can also search for hotels on this site! For those who would like to try their hand at driving on the Sanriku coast.